Like the swallows returning to Capistrano, it was easy to predict that scammers would try to cash in on the awareness and hype surrounding the record Powerball jackpot. Officials confirmed Thursday that three winning tickets had been sold. First of all, there were three winning tickets for a $1.6 billion jackpot, so no one individual won $1.5 billion. Any crying was purely crocodile tears. Okay, it's “instagram,” not “instragram.” But the bigger point is this is exactly the same scam that was hot a couple of weeks ago, when a similar poster claimed that Facebook founder Mark Zuckerberg, who made news when he said he and his wife were donating 99% of their stock to charity, was picking 10 Facebook users at random to share in the riches. To qualify, one supposedly had to “Like” or “Share” something. While this might qualify more as a hoax than a scam, the potential for dangerous fraud exists if you get sucked into claims of free Powerball money. Ahead of the drawing, Ohio Attorney General Mike DeWine issued this warning to be on guard against creative schemers. Over the last four weeks as the jackpot grew, DeWine said his office's Consumer Protection Section had received more than two dozen complaints involving sweepstakes or prize scams. The average reported loss, he said, was about $5,000. DeWine says consumers should hang up on any callers who say they have won lottery money. That's not how it works. In most cases, the scammers who say their victim has won the lottery require them to send several thousand dollars – always in a non-traceable manner – in order to receive their millions. Again, that's not how any lottery works. If you happen to get one of these calls, hang up and report it to your local police department and state attorney general. A federal court, acting on a request from the Federal Trade Commission (FTC), has temporarily shut down a sweepstakes operation based in Fort Lauderdale that took more than $28 million from consumers throughout the U.S and other countries, including Australia, Canada, France, Germany, Japan, and the United Kingdom. The FTC wants a permanen end to the allegedly illegal practices and a return of money to victims. The FTC’s complaint and other court filings claim the defendants mailed personalized letters that falsely told consumers they had won large cash prizes -- typically more than $2 million. The prizes are “guaranteed,” the letters stated, but to collect the money, consumers had to mail the defendants a $20-$30 fee by cash, check or money order. To create a false sense of urgency, they set a deadline, typically 10 days, and warned consumers they would forfeit their winnings if they didn’t pay on time. In reality, consumers had not won anything. The defendants have no connection to any sweepstakes and cannot award or pay anyone the promised prizes. 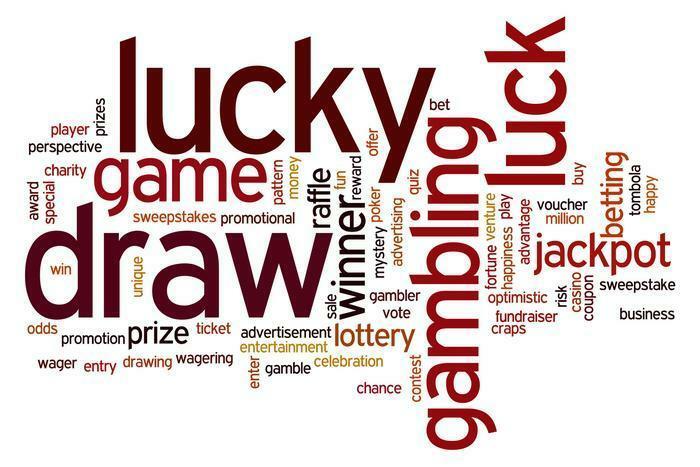 “Only in dense, confusing language, at the bottom or on the back of the letters,” the FTC explains, do they admit that the only service they provide is compiling “reports” about sweepstakes and contests offered by other parties that are open to the public. By design, the defendants’ disclaimers are unclear and inconspicuous, and fail to alert consumers to the truth, and most consumers don’t even receive the “reports” and would never have agreed to pay $20-$30 for them. The defendants are Mail Tree Inc.; Michael McKay Co.; Spin Mail Inc.; MCP Marketing Activities LLC, also doing business as Magellan Mail and Magellan Marketing; Trans National Concepts Inc.; Romeria Global LLC, also d/b/a Lowenstein Varick and Nagel; Supreme Media LLC; Vernier Holdings Inc.; Awards Research Consultant LLC; Mailpro Americas Corp.; Masterpiece Marketing LLC, also d/b/a Affiliated Opportunities Group (AOG), Corporate Accounting Authority (CAA), Dispatch Notification Services (DNS), Information Reporting Group (IRG), National Directory Center (NDC), and Priority Information Exchange (PIE); Matthew Pisoni; Marcus Pradel; John Leon; and Victor Ramirez. The court issued an order that temporarily stopped the illegal conduct, froze the defendants’ assets, and appointed a receiver to control the operation while the FTC pursues the case. Atlantic Lottery Corporation, which runs games in Canada, is warning U.S. consumers that scammers are using its name to try to steal money from unsuspecting victims. The company says the latest fraud case targets individuals in the United States in a lottery letter scam. The letter says the recipient has won $35,000 in an international promotion program. It indicates that a check will be mailed to the winner from a North American Payment Center upon payment of a "release fee" and applicable taxes. A contact name and phone number is provided to assist with verification, processing and payment. "Phone numbers often go back to people involved with the scam, and they will indicate that your winning notification is legitimate," the company said in a fraud alert posted on its Website. Atlantic Lottery says that to win any of its cash prizes, you must have purchased a ticket from an authorized retailer in New Brunswick, Nova Scotia, Prince Edward Island or Newfoundland and Labrador, or on their PlaySphere website. The company said it is not authorized to operate lotteries or games of chance outside of Canada. Hello. This is the Washington DC Office of Consumer Affairs calling to inform you that youve won the second place prize in the Publishers Clearing House sweepstakes! Call us toll free at 1-877-271-XXXX to find out how to claim your $450,000 prize. So began the phone message received by Mr. L.M. Kent, of Ohio. Mr. Kent listened as Stacy Phillips calmly explained that Mr. Kent would need to pay only $850.00 for insurance on his winnings. A massive sweepstakes scam that has taken more than $11 million from consumers throughout the U.S. and dozens of other countries including Canada, the United Kingdom, France, and Japan, has been brought to a screeching halt -- for the time being anyway. The Federal Trade Commission (FTC) is seeking to put a permanent end to the allegedly illegal practices that have continued for seven years, and return money to victims. Consumers are told that they can collect the prize by sending in a small fee of approximately $20 to $30. 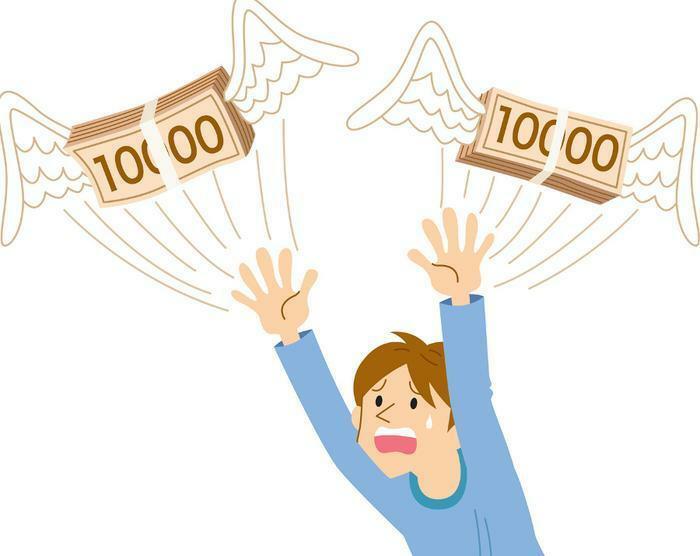 The letters often indicate that recipients are “guaranteed” to receive the prize money if they pay the fee, and they create a sense of urgency by stating that it is a limited-time offer. In “dense, confusing language,” often on the back of the letters, there are statements in direct conflict with the bold claims of major winnings, the FTC said. A very careful reader might learn that he -- in fact -- has not won, and that the defendants do not sponsor sweepstakes but instead claim only to provide consumers with a list of available sweepstakes. Consumers frequently fail to see or understand this language and send money to the defendants. The FTC contends that this language does not appear designed to correct deceptive statements, but exists mainly as an attempt to provide a defense to law enforcement action. Consumers get nothing of value in exchange for their payment. The defendants have sent more than 3.7 million letters during the past two years, including nearly 800,000 letters to people in 156 countries in the first half of 2013. They have collected more than $11 million from consumers since 2009. The vast majority of the victims of this scam appear to be over 65. The court order temporarily stops the illegal conduct, freezes the operation’s assets, and appoints a receiver over the corporate defendants while the FTC moves forward with the case. Moran’s co-defendants are Applied Marketing Sciences LLC; Standard Registration Corporation, also doing business as Consolidated Research Authority and CRA; and Worldwide Information Systems Incorporated, also doing business as Specific Monitoring Service, SMS, Specific Reporting Service, SRS, Universal Information Services, UIS, Compendium Sampler Services, and CSS. A sweepstakes operator that took millions of dollars from consumers throughout the United States and dozens of other countries is banned from doing it again under a settlement with the Federal Trade Commission. Liam O. Moran of Ventura, Calif., also faces an $11 million judgment but under terms of the settlement, the judgment will be lifted when he turns over the proceeds from the sale of his home. According to the FTC, consumers received personalized mail that falsely claimed they had won a cash prize, typically more than $2 million, and that to collect it they had to pay a fee, usually from $20 to $30. Those who paid got nothing of value in return. The vast majority of the victims appeared to be seniors over the age of 65. Last year, the FTC charged Moran and other defendants with violating federal law in connection with their deceptive prize promotion letters. The court subsequently halted the operation, froze the defendants’ assets, and appointed a receiver over the corporate defendants pending resolution of the case. Besides Moran, other defendants are Applied Marketing Sciences LLC; Standard Registration Corporation, also doing business as Consolidated Research Authority and CRA; and Worldwide Information Systems Incorporated, also d/b/a Specific Monitoring Service, SMS, Specific Reporting Service, SRS, Universal Information Services, UIS, Compendium Sampler Services, and CSS. A sweepstakes promoter has been permanently banned from direct mail marketing and is liable for a $9.5 million judgment under a settlement with the Federal Trade Commission, which charged her with violating a previous court order by running a sweepstakes scam. In April 2007, Crystal Ewing and other defendants were banned from prize promotions to settle FTC charges that they deceptively enticed consumers in the U.S., Canada and the United Kingdom to send money to collect large cash prizes that, in fact, did not exist. Ewing now admits to violating the 2007 court order through her work with another FTC defendant, Glen Burke, and a prize promotions company, Puzzles Unlimited LLC, that duped consumers with the illusory promise of sweepstakes winnings in exchange for processing fees. Using direct mail ads, Puzzles Unlimited enticed consumers to enter promotions by using terms like “Notice of Grand Prize Payout” and “Grand Prize Guaranteed,” which led consumers to believe they had already won thousands of dollars and just needed to fill out a form containing a simple puzzle and submit a “processing fee” of $10 to $15. But the vast majority of consumers received no “Grand Prize Payout” – or any other payout whatsoever. Instead, the consumers who submitted “processing fees” continued to receive additional rounds of puzzles that they were told they must complete correctly in order to claim the prize money. With each round of mailers, consumers were misled with promises of bonus winnings in exchange for additional fees. At each step of the way, consumers were told they were tied for first place in the promotion regardless of whether or not this was true. Here's the latest scam you need to watch out for: today the Federal Trade Commission issued a warning about fake letters, allegedly from the FTC's consumer protection director Jessica Rich, offering to help victims claim a cash prize they supposedly won. But in order to get this big cash prize, the letter says, you'll first have to pay $5,000 to cover the costs of the “Legal Registration Bond” supposedly required. It's a come-on for the classic “advance fee scam,” of course; if you pay the money the scammer will take it and run, leaving you $5,000 poorer and without any prize. There's nothing unusual nowadays about getting such a scammy come-on message from a con artist pretending to be some type of governmental authority figure or bureaucrat – anybody from a courtroom clerk to your state's attorney general, a fake IRS agent to a bogus deputy sheriff. But getting such a letter through the U.S. Mail is relatively rare nowadays; most scammers prefer email because it's faster and cheaper, even free. On the other hand, that same fact might make people slightly more likely to fall for such a scam if the come-on is printed on actual paper and sent through old-fashioned snail mail, rather than done entirely by electronics. “The language might sound legal, and the letter might look legit. You might look up Jessica Rich and see she's an actual FTC official. But the truth is, there's nothing legal or official about it. It's a fake letter designed to convince you to send money for a non-existent prize,” the FTC's warning said. Furthermore, the FTC doesn't oversee contests, sweepstakes or any other “win valuable prizes”-type events. Even if it did, you should always remember that legitimate contests, sweepstakes or any other “win valuable prizes”-type events don't require you to first pay money in order to receive your prize. The fake lottery scam is one of the oldest of cons, usually preying on desperate people willing to believe that Fortune has finally smiled on them. Only, it never does. A potential victim is contacted by phone or mail and told they have won a rather substantial cash prize in an international lottery. The scammer usually tries to build excitement in the victim, asking them how they will spend the money and urging them to celebrate. It's only then that the scammer reveals the victim must pay a fee – often several thousand dollars – to secure release of the funds. It's either described as taxes or a processing fee. West Virginia Attorney General Darrell McGraw this week warned residents of his state that the sweepstakes scam has been showing up more than usual. One recent victim in Bluefield, West Virginia, was targeted by thieves in Jamaica who in October of 2010 called him asking for "taxes" in the amount of $400.00 in order to collect his $10 million lottery prize. Once he made an initial payment, they contacted him repeatedly over a ten-month period with stories of unexpected bank charges and other fees, until they had collected more than $40,000.00. Each time, they convinced him the winnings were real, using personal information about him which anyone can obtain over the Internet. Unfortunately, the victim has only Social Security to support him, is disabled, and badly needed the income as the only support for his hospitalized wife and extended family members. Having borrowed thousands from friends to make the foreign payments, McGraw says the victim is now facing foreclosure after failing to pay his mortgage for over four months. "Since we hear of unexpected windfalls from legitimate lotteries, people can be easily convinced an exciting new opportunity is valid when it is not,” McGraw said. “Unfortunately, the convenience we all enjoy from modern technology is also convenient for thieves – scammers are more convincing when armed with small pieces personal of information about us, right from the Internet." Don’t act immediately. High pressure calls or emotional pleas are danger signs of fraud. Get all information and consider it carefully. Be wary of requests to send a payment by wire service or private courier. The company may be trying to avoid detection from postal inspectors or to get your money before you have a chance to change your mind. Don’t pay if it’s free or if you have won. Paying a fee to claim a prize or get something free is another danger sign of fraud. Check it out. If you are not familiar with the company, check its track record with your state or local consumer protection office. Even if there is no information about the company, you can get helpful advice. Do not believe promises of easy money. No one can legitimately claim you will make large earnings from business opportunities with little or no work, promise high returns on investments with little or no risk, or guarantee that you will win a lottery or sweepstakes. Don’t provide your Social Security number unless you’re applying for credit or employment. Using your personal information, crooks can steal from you and impersonate you to steal from others. Follow the rule of thumb: If a deal is too good to be true, it probably isn’t true. The Federal Trade Commission and other law enforcement officials have put the gloves back on to knock out the latest round of prize promotion fraud. In a recent law enforcement effort - "Project Prize Fighter" - the FTC, the U.S. Postal Inspection Service, State Attorneys General and others have joined forces to combat these scams. "Project Prize Fighter" has resulted in 24 law enforcement actions against more than 40 defendants in 9 states. For years, people running a sweepstakes scam would instruct their victims to send money using a Western Union Moneygram, since it was untraceable and the funds not retrievable. But now it appears schemers have updated the scam, substituting pre-paid debit cards as a way to take money from their marks. In Oregon, Attorney General John Kroger has noticed the trend, with consumers reporting suspicious callers promising sweepstakes winnings but instructing potential victims to purchase a prepaid credit card to cover "taxes" or "fees" associated with collecting their cash prize. For example, Kroger says one Oregon resident was contacted on his cell phone last week by a con artist who asked him to purchase three $1,000 Green Dot MoneyPak credit cards. In order to collect his sweepstakes prize, the man was told he must call an Idaho number and read the serial numbers off the back of the cards. Bogus sweepstakes and lottery offers have been around forever, and while many easily see through these too good to be true schemes, many others fall victim to them. Often, they are precisely the people who can least afford to lose money. These operations are often run by perpetrators located outside the U.S. – making it very difficult for law enforcement agencies to track them down. In 2010 officials received 1,054 complaints about international money schemes, with $1,999,323 in reported losses – more than double the $707,783 reportedly lost in 2009. Never pay to play in a sweepstakes. Never pay money to claim a prize. Do not give out your prepaid credit card number to someone you don't know (learn more about Green Dot prepaid cards). 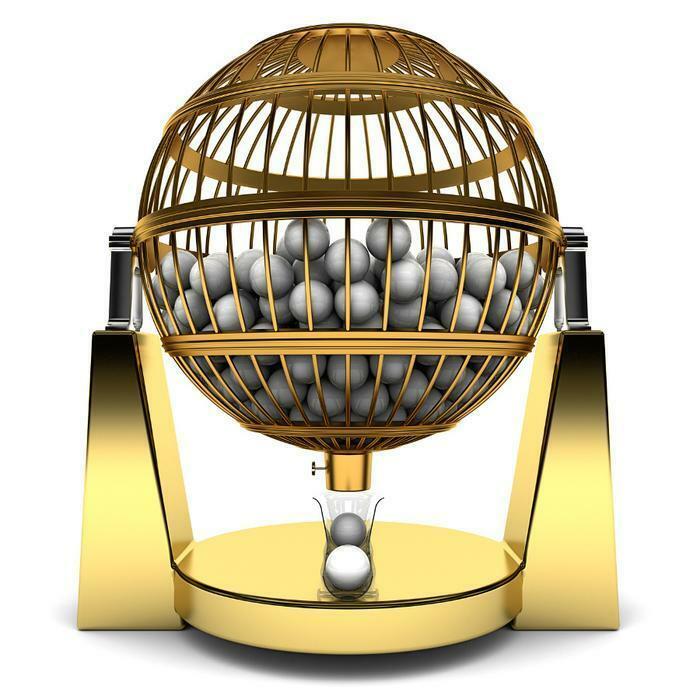 Participating in a foreign lottery is illegal and such lotteries often have close ties to organized crime. Beware of fake organizations that go by names similar to more widely-known groups in order to trick consumers. Government agencies do not sponsor sweepstakes. Beware of requests for information about your income, credit card ownership, or bank accounts as a condition of participating in a sweepstakes or lottery. Do not participate in sweepstakes or respond to advertisements that resemble a check, bill or invoice. Destroy fake sweepstakes or lottery offers by shredding or deleting them. Sweepstakes scammers have moved to pre-paid money cards because law enforcement has waged an extensive information campaign, warning consumers about the dangers of using Western Union to send money to people you don't know. Moneygram locations now routinely provide warnings about possible scams. Consumers should not be tricked, just because scammers have updated their old tricks. It's still the same of scam. The Federal Trade Commission is urging consumers to beware of a foreign lottery scam that adopts the name of Spains largest lottery prize, El Gordo, to con consumers out of substantial sums of money. According to the Spanish government, consumers in the United States may receive phony letters, as well as forged materials purporting to be from Spanish banks, that claim that these consumers have been the lucky winners of a large cash prize. To claim the prize, the consumer is told he or she must pay a sum that goes toward the taxes, bank costs, and processing fees necessary to deliver the prize money. The real drawing for the El Gordo prize takes place during the holiday season. The Spanish government indicates that the fraudsters who carry out the phony drawing use the actual addresses of official Spanish organizations to make their scam appear legitimate. If you receive a letter this holiday season claiming you have won a big prize in a foreign lottery, do not pay any money it is a scam. The FTC reminds U.S. consumers that participating in a foreign lottery is illegal. If you play a foreign lottery through the mail or over the telephone youre violating federal law. 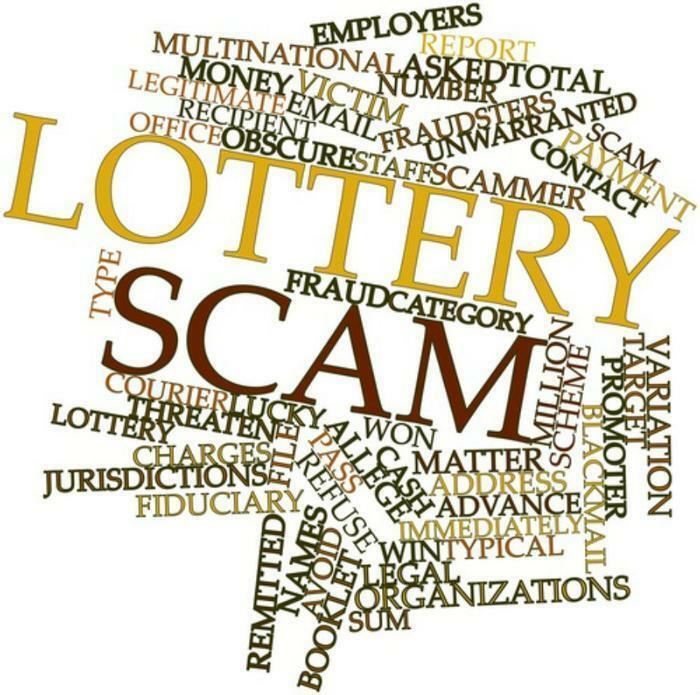 If you purchase one foreign lottery ticket, expect many more bogus offers for lottery or investment opportunities. Your name will be placed on sucker lists that fraudulent telemarketers buy and sell. The FTC encourages consumers to give any suspicious lottery material from a foreign country to a local postmaster. You can also report it to the FTC at www.ftc.gov or 1-877-FTC-HELP, or contact your state Attorney General. December 1, 2003 The Federal Trade Commission is urging consumers to beware of a foreign lottery scam that adopts the name of Spains largest lottery prize, El Gordo, to con consumers out of substantial sums of money. Ohio has been hit by a rash of sweepstakes scams, Attorney General Richard Cordray said today. 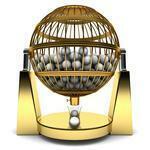 The fake contests are a common ploy used by con artists to swindle money or gain personal information. Since January, the Attorney General's Consumer Protection section has received approximately 900 complaints about sweepstakes or prizes, almost all of them scams. "The number of sweepstakes scams reported in Ohio is on course to double this year," Cordray said. "Unfortunately, senior citizens are most vulnerable to these sophisticated deceptions. We are seeing tragic instances of trusting consumers, particularly seniors, falling into a trap where they wind up turning over not only their personal information but thousands of dollars. Our best defense against these scam artists is to increase awareness and community vigilance." In Madison County, an elderly couple received a call informing them that they had won $495,000 and that to receive the award they first had to wire $750 to Las Vegas for insurance. After the couple wired more than $1,800 for the prize, their son became aware of the scam and contacted the Attorney General's office. A Trumbull County woman received a check as an award for winning the "lottery." In order to collect the winnings, she was required to deposit the $4,800 check and wire $4,000 to Spain. The woman's daughter contacted the Attorney General's office after realizing the check was a fake. "Many of the fake checks used in sweepstakes scams look very real," Cordray said. "If someone is enduring early stages of dementia or Alzheimer's, they likely could not detect this ploy. In fact the most outrageous aspect of most scams is that they prey on the trust that ordinary, decent people have in one another. I strongly urge family members, friends and neighbors to watch out for those who are most vulnerable to these malicious scammers." The Attorney General's office has received 919 sweepstakes scam reports to-date in 2010; well past the 622 complaints received last year and double the 447 in 2008.  Do not send money to collect a sweepstakes or prize. If you have to pay to collect your winnings, then you did not actually win.  Be extremely skeptical of anyone who asks you to send money to Canada, Jamaica or other foreign countries.  Don't trust individuals who contact you unexpectedly and who ask you to wire transfer money, even for a contest or prize.  Entries to foreign lotteries cannot be sold legally in Ohio. Anyone who informs you that you have won a foreign lottery is trying to defraud you.  Beware of "recovery scams." Fraudulent telemarketers may contact victims posing as the police or other governmental representatives. They lie, often by saying they have recovered the victims' lost sweepstakes money and asking the victims to send more money to receive it. Oregon Attorney General John Kroger is warning consumers not to respond to an unsolicited "sweepstakes" letter claiming that the recipient has "won" money and only needs to pay a small fee to obtain it. The state's Department of Justice (DOJ) Consumer Hotline has received calls inquiring about a letter from the "Data Release Division" based in Jericho, New York. The letter claims to be a "guaranteed sweepstakes award," notifying the recipient they have won $1.4 million. In reality, this letter is a deceptive solicitation than seeks money from unsuspecting consumers. The DOJ has sent a letter to the "Data Release Division" ordering the company to cease mailing this deceptive letter or face sanctions for violating Oregon's the Unlawful Trade Practices Act. Bogus sweepstakes and lottery offers are among the most common scams that seek to rip off consumers. In 2009, more than 1,000 Oregon residents reported losing in excess of $700,000 to sweepstakes, lottery and other scams.  Participating in a foreign lottery is illegal. Often these schemes are closely tied to organized crime.  Never pay-to-play in a sweepstakes.  Beware of fake organizations using similar names to more well-known groups in an attempt to trick consumers.  Government agencies do not sponsor sweepstakes.  Never wire money to receive a prize. Con artists frequently send victims fake checks as a "first down-payment" of their winnings, asking that a percentage be wired back under the misrepresentation that it will be used to "pay taxes" associated with the "winnings." These fake checks can sit in one's checking account for up to a week before ultimately bouncing.  Beware of requests for income, credit card ownership, or bank accounts as a condition of participating in the sweepstakes or lottery.  Do not participate in sweepstakes, or respond to advertisements, that resemble a check, bill, or invoice. June 21, 2010 Oregon Attorney General John Kroger is warning consumers not to respond to an unsolicited "sweepstakes" letter claiming that the recipient has "won" money and only needs to pay a small fee to obtain it. If you received a letter saying you'd won a big prize in the Acme Lottery, you might be more likely to ignore the letter, correctly thinking that it was a scam. But if you got a letter saying you'd won the Reader's Digest Lottery, you might be more likely to bite. Scammers, it seems, have figured that out. More and more, they are using the names of well known and trusted companies in their fraudulent schemes, according to Kansas Attorney General Steve Six. Six says consumers in central Kansas have received notifications of prizes accompanied by documents that appear to be checks. The consumer is asked to deposit the check in their bank account, then wire money using Western Union or MoneyGram back to the issuer of the check to pay "clearance or processing fees." The consumer is directed to call a number from an area code in Quebec, Canada to "release winnings and validate [the] check" that was enclosed. The letter also contains a seal similar to the official seal for the United States Department of Justice, and claims it is "Approved by the Attorney General." 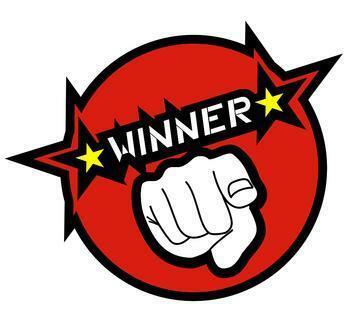 In reality, those rare legitimate sweepstakes winnings do not require advance payment of fees or taxes. Taxes are collected by government agencies, not by a company that provides the sweepstakes winnings. Many scam artists will issue a check to a consumer, then ask the recipient to deposit the check, and before the check has time to clear the issuing bank request the consumer wire money from their account back the scam artist. These requests are usually accompanied with a sense of urgency, that the prize must be claimed by a certain date, and waiting for the check to clear the issuing bank would allow the prize to expire. A similar type of scam includes information that the consumer has won a foreign lottery, but that certain fees must be paid before the check can be issued. Six says U.S. consumers are ineligible for foreign lottery winnings.